Please click here to download the Concert Schedule summary for Sidmouth Parish Church. Full Details of Concerts are published on this page as they become available. Entry for each concert is £7 at the door. The price includes a programme and interval refreshments. The money raised goes towards the upkeep of this Grade 1 listed church. A concert by the Musicians of Exeter School. Musical Director Peter Tamblin nutures these talented pupils, who perform at Exeter Cathedral and local churches. 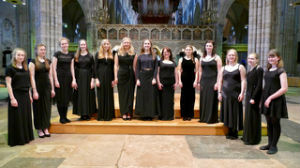 Isca Voices, conducted by Peter Tanner, are former Exeter Cathedral Choir choristers who perform nationally and internationally. More about Isca Voices. 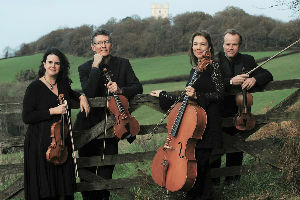 The Haldon Quartet are well known local musicians who return to Sidbury by popular demand. More about the Haldon Quartet. 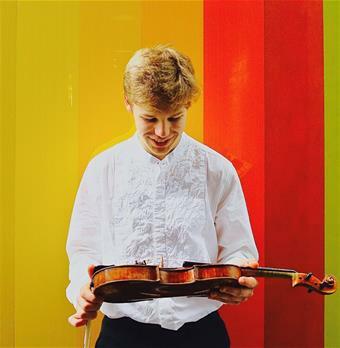 The outstanding young violinist, Joel Munday, will be playing for us on 3rd August. I’m grateful to Roger Hendy for making the concert possible and to the Joanna Leach Foundation for sponsoring the event. Not to be missed!